Smithsonian's National Museum of Natural History on the National Mall in Washington, D.C. The Smithsonian’s natural history collections have their origins in the 1838–1842 United States Exploring Expedition, which circumnavigated the globe amassing cultural and natural history collections. 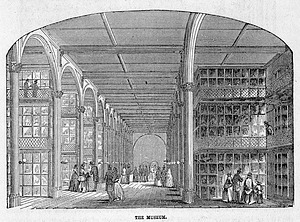 Concern over how to care for the collections led to the provision for a museum as part of the Smithsonian Institution’s enabling act of 1846. 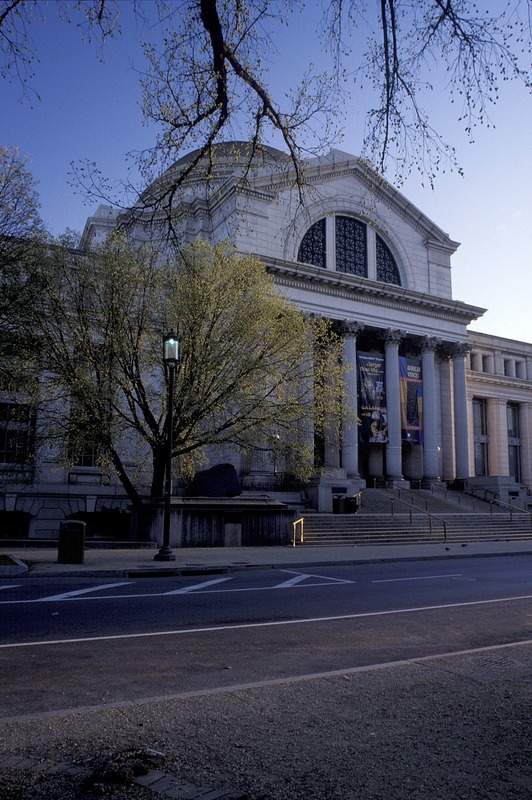 In 1858, the US Congress began to provide appropriations for the United States National Museum and all the government’s collections were transferred to the Smithsonian Institution. The Smithsonian also received specimens by gift or purchase in the late 1840s. In 1850, the newly appointed Assistant Secretary Spencer F. Baird donated his personal natural history collection to the Institution. During the 1850s and 1860s, several expeditions which explored the American West, sent additional specimens to the Institution. The collections were initially housed in the Institution’s first building, the Smithsonian Institution Building, or Castle, which was completed in 1855. The National Collections were moved to the newly constructed National Museum Building, now the Arts and Industries Building, in 1881. But within two years, the new building was overflowing with collections and Smithsonian management requested another building from the US Congress. Legislation for the new building finally passed in 1902, providing for a granite structure across the National Mall from the Smithsonian Castle. The local architectural firm, Hornblower and Marshall, was selected to design the building, and they produced an ornate design for the structure that was initially accepted. However, in 1905 construction was halted because Smithsonian administrators were unhappy with the architects’ ornate French baroque design for the entrance. Charles Follen McKim, of the architectural firm McKim, Mead, and White, was quietly brought in to develop a simpler and more sober solution. McKim had been serving as an architect member advising the Senate Park Commission—which was then engaged in restoring Victorian, red-brick Washington, DC sites to the monumental, white neoclassical city envisioned by the founding planners. McKim developed a new Roman profile for the dome and central pavilion, and simplified other elements of the exterior as well. After these modifications, construction of the National Museum in a beaux arts style that would unify the National Mall proceeded. The exterior of the museum is of granite from quarries in Milford, Massachusetts; for the first and second floors from Bethel, Vermont; for the third floor from Mt. Airy, North Carolina; and for the two interior open courts from Woodstock, Maryland. The roof is covered with slate shingles. The final building includes an octagonal rotunda with Doric columns on the first floor and Ionic columns on the second and third floors. Above the three floors are semi-circular clerestory windows and a Guastavino tiled dome with an oculus. Three wings extend north, east and west from the rotunda, providing office space for museum staff, and exhibition space for the permanent collection with abundant light for the exhibitions. An exterior pedimented portico faces the National Mall directly south of the rotunda with fluted Corinthian columns and pilasters. 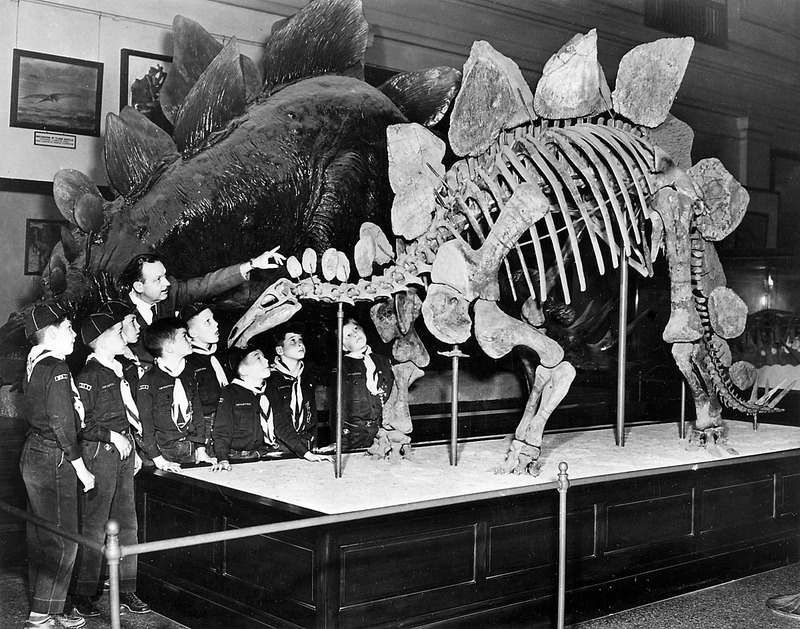 On March 17, 1910, the new US National Museum, now the National Museum of Natural History, opened to the public, although construction of the building was not completed until June 20, 1911. Initially, the National Museum housed art, culture, history, geology, and natural history collections, totaling over ten million objects. Taxidermists produced striking new exhibits, featuring specimens collected on the Smithsonian-Roosevelt African Expedition of 1909–1910, and art exhibits that drew large audiences. Not surprisingly, the new building soon ran out of storage space. During the 1930s, new wings were authorized to be built to accommodate the ever growing collections, but as the Great Depression worsened, funding was never received. In the 1950s and 1960s, an Exhibits Modernization Program systematically updated the exhibits in the museum, and the National Museum acquired such iconic objects as the Fénykövi elephant and the Hope diamond. 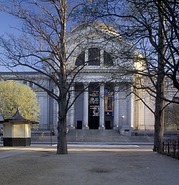 In 1957, the US National Museum created two administrative subdivisions: the Museum of Natural History and the Museum of History and Technology, now the National Museum of American History. 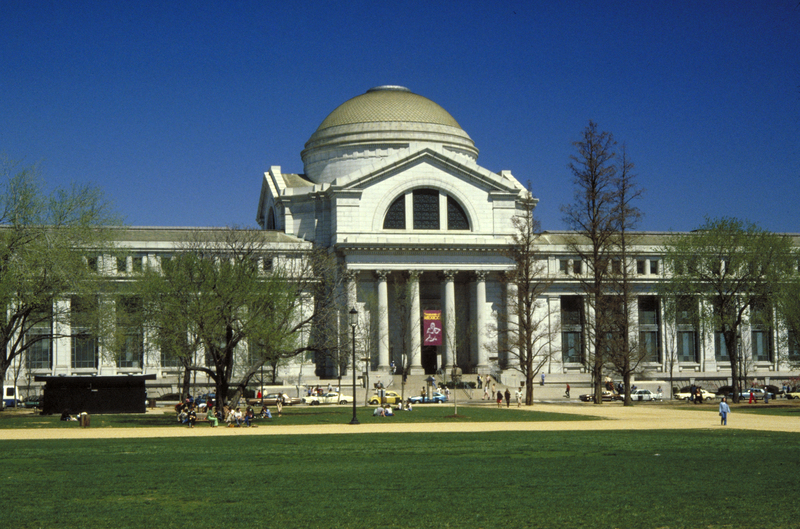 The US National Museum was eliminated as an administrative entity in 1967, and the Museum of Natural History became a separate administrative unit. 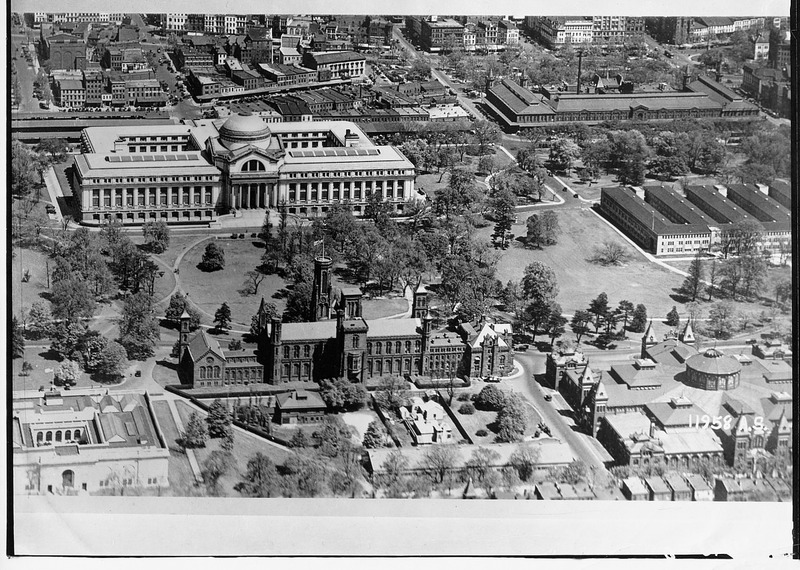 By 1969, the art and history collections had moved to new museums, and the building was renamed the National Museum of Natural History. Research, collections, and exhibits now focused on anthropology, botany, geology, paleontology, and zoology. During the 1960's, new wings were finally added to the east and west sides of the building to accommodate expanding collections and staff. In 1960, the architectural firm Mills, Petticord, and Mills was selected to design the east wing and the following year a west wing. By 1965, construction of both additions was completed. The wings are designed with six floors in addition to the basement and ground floor, with the second, fourth and sixth floors directly connected to the main building. By the late 1970s, collections were again overflowing and a Museum Support Center was planned in Suitland, Maryland. When it opened in 1983, it housed collections, specialized laboratories, and conservation facilities. New outreach programs were developed during the 1970s, including the Insect Zoo, Discovery Room, and Naturalists’ Center. The groundbreaking Dynamics of Evolution exhibit established that evolution could be presented in American museums. In the 1990s and 2000s, another series of exhibit renovations produced the new Fossils Hall, Behring Mammals Hall, Sant Ocean Hall, and Koch Hall of Human Origins. The National Museum of Natural History has a long tradition of field work and collecting across the globe. During the heyday of oceanographic exploration in the 1960s, the then Museum of Natural History established the Smithsonian Oceanographic Sorting Center to classify and distribute marine specimens to museums worldwide. 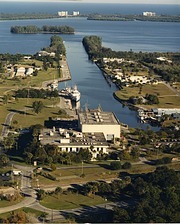 In the 1970s, scientists began to expand field research programs to more permanent stations, with the Smithsonian Marine Station at Fort Pierce created in 1971, and the Carrie Bow Cay field station in Belize established in 1972. By the time the National Museum of Natural History celebrated its centennial in 2011, it had welcomed almost 300 million visitors and housed over 126 million objects. In the 21st century, the National Museum of Natural History is focused on basic research on human cultures and biodiversity—the array of organisms that inhabit our planet and the planet they inhabit. By partnering in the Encyclopedia of Life project, an online publication that seeks to publish a single webpage on each species of organism in the world, and continuing field exploration, National Museum of Natural History scientists are sharing their knowledge and collections across the globe.